I thought it would be fun to review some of my favorite posts of 2014 and the muses who I feel best represent them. When it comes to style watching (a variation on people watching), this past year has been a pures delight. 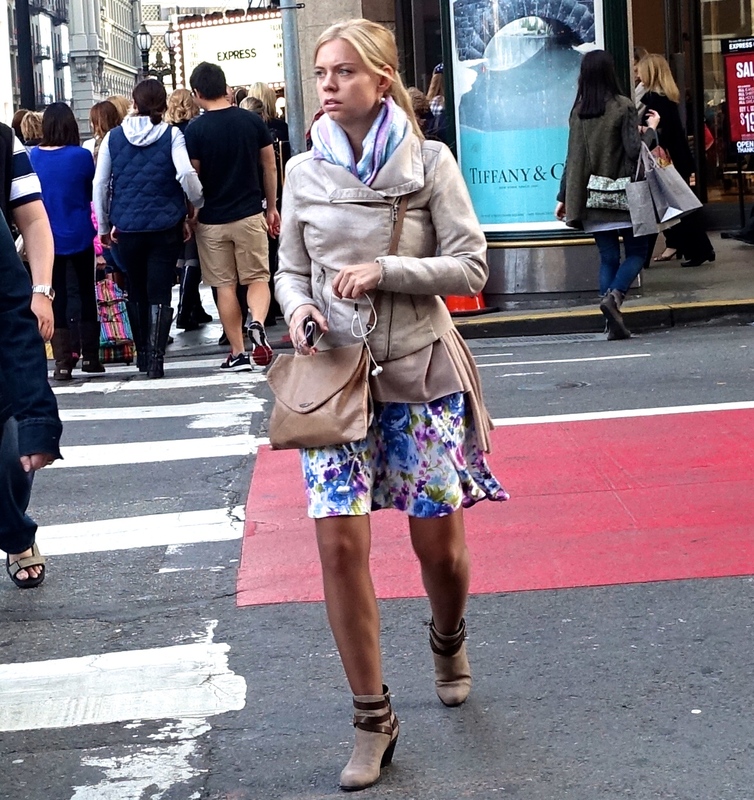 As the legendary street photographer Bill Cunningham (New York Times) says – and I am paraphrasing – “Fashion is not dead. You just need to look, and you will see it is still alive and as wonderful as ever.” I must add that I consider his definition of fashion to be more in line with mine regarding style – favoring fabulous individuality and creativity over trends. Yes, there is definitely fabulousness out on the street! Speaking of trends, how did America become the land of yoga pants as fashion? Ewww! 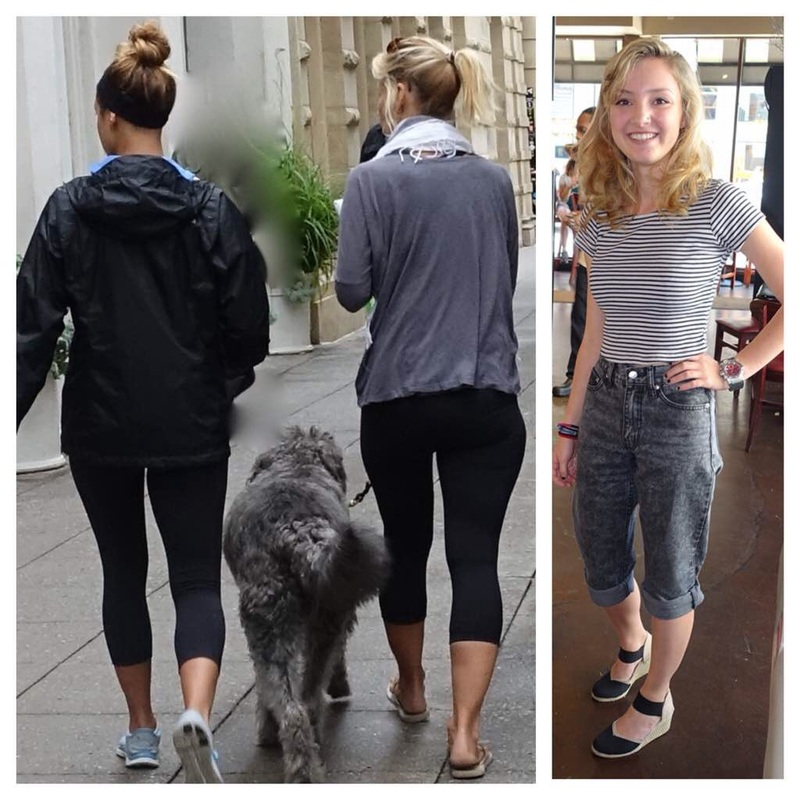 The muses pictured below were among those who inspired me to write a September post about alternatives to yoga pant wearing outside the yoga studio. Yoga pants = no style, cute jeans = style. 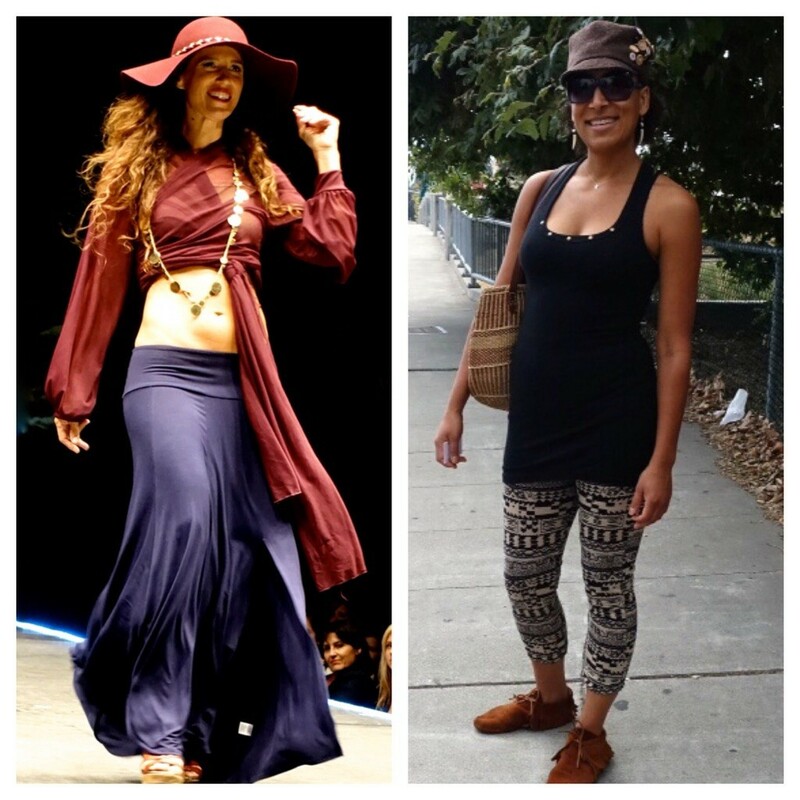 Our next pair of muses from Santa Cruz, California demonstrated – in a post about a lesser known Fashion Week celebration – how the place in which we live can impact our style. The photo below is a favorite from a post about rolled up trousers. Speaking of stylishness, the muse pictured below showed plenty o’ sartorial success in the post “Stylin’ in a Necktie“. 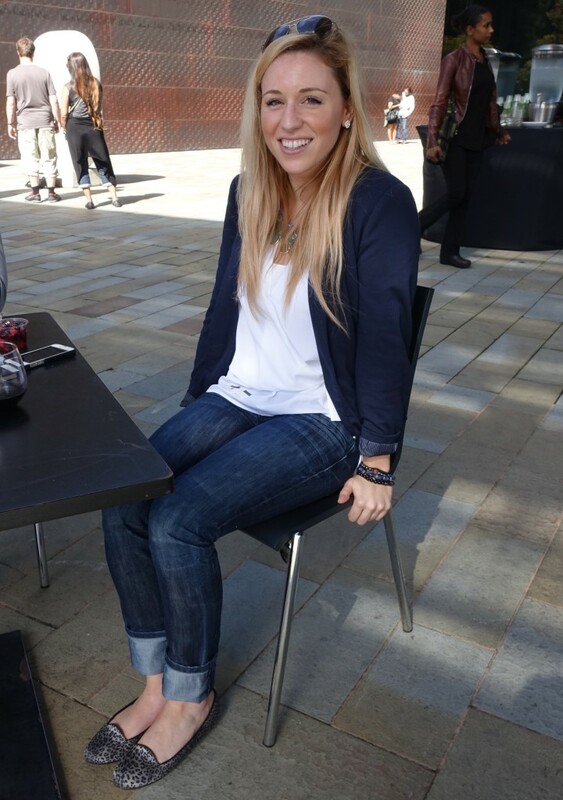 Stylish sneakers were a lot of fun on the streets of San Francisco (in “Streetwise Sneaker Style“) as you can see on the awesome muse below. It is simply wonderful how a necklace can totally make an outfit, and the muse from “Necklaces for Spice” (pictured below) was a perfect example. As we transitioned from summer to fall in California, it was fascinating to see how some women dressed in fall colors of this region. 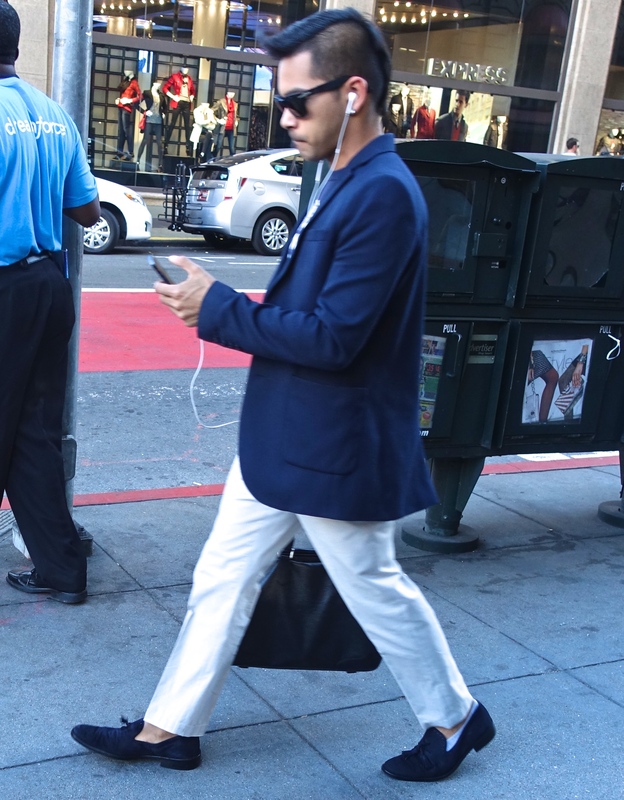 Another compelling theme I picked up on the streets of the San Francisco Bay area was smart casual dress for men. Black is the Bomb!” was the mantra in a post about dressing in all black. The lovely muse below was one of several stunning examples. 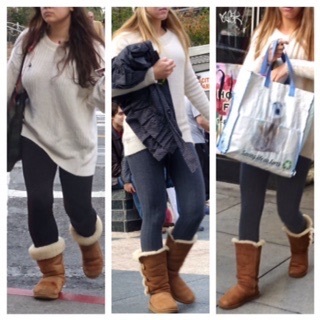 And oh, how amusing it was to capture looks on the streets of San Francisco once the weather began to cool: they were teeming with boots, short and tall. Unfortunately, not all boots were equally stylish; Uggs did not escape my notice. Around the holidays, love was in the air. 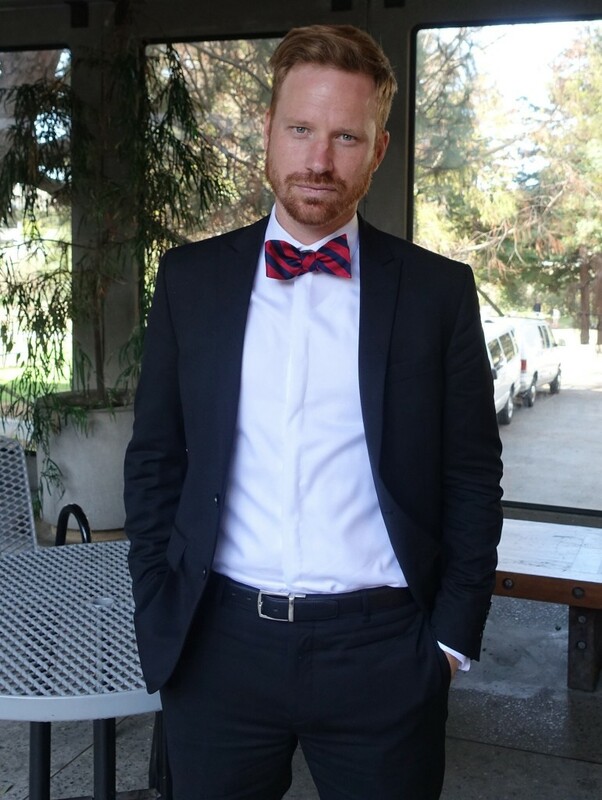 The love of my life proposed, and I was naturally drawn to the theme, “Do You Dress Like Your Partner?” in which I took great pleasure in watching couples and their styles. Sometimes I wonder if one day I will run out of post ideas, but as soon I hit the streets and start snapping pictures, the inspiration flows freely. There is never a bad day for style. I will always come upon someone who inspires me, and more often than not, it is several people who come along and dazzle me with their style. Pleasurable it has been to share my 2014 muses and musings with you, and I only hope you have enjoyed them as much as I have. 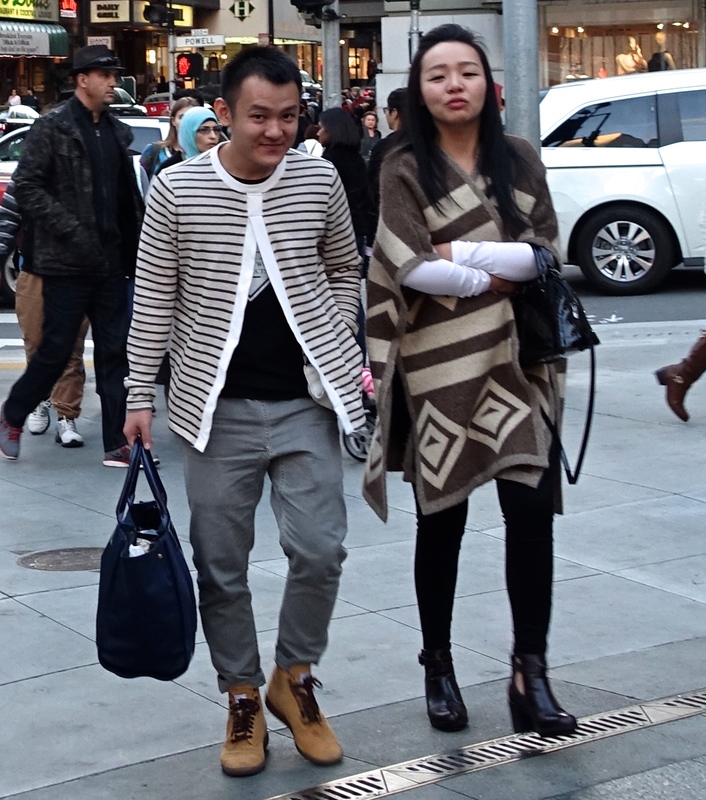 Stay tuned for more fun “watching” stylish people on the streets of San Francisco and a few other select cities in 2015. I will be delighted if one day you are inspired to share your own style musings and muses – either in the comments sections below my posts or by email (janea@cruzio.com). I would be thrilled to include your contributions in future posts – perhaps a photo you’ve taken of a sensationally stylish man or woman? After all, if you are reading this, you are one of the STYLetti! Thank you for the feedback. It is great to know you are enjoying it!